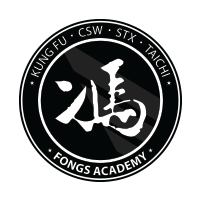 Fongs Academy (Michael Punschke) i​s one of the early pioneers of traditional Kung Fu in Germany. Sifu Michael Punschke was teaching in Munich, Germany ​since 1994 until ​end of 2018. He closed his school and stopped teaching​ ​for retreat. ​Born 1960 in the North of Germany, I began practicing Martial Arts in the mid of 1970s with Japanese Karate. Later, around end of 1976 I started with Kung Fu (Hung Kuen Style) and followed this style for several years. Finally, my visit and practice in Hong Kong in 1985, gave me the decision to keep going to Hong Kong to learn more about Kung Fu. I found my first Choy Li Fut Kung Fu teacher, the late Master Lee Koon-Hung in Hong Kong and followed him until he died in 1996. In 1994 I opened Fongs Kung Fu School in Munich, Germany. 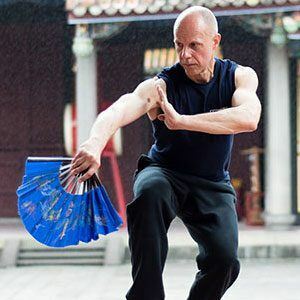 My Tai Chi Chuan ​​knowledge I got from Master Fu Sheng-Lung (Vancouver), Master Adam Hsu (Taipei), Master Doc-Fai Wong (San Francisco) and ​Master George Lin (Taipei). Since 1985 I am travelling every year to Hong Kong, and since 200​1 as well to Taipei (Taiwan) to study and practice Martial Arts, Lion Dance and culture. Fongs Academy (before Fongs Kung Fu School) is the oldest and leading Choy Li Fut Kung Fu School in Germany. ​2000 I met my Tai Chi Quan (Chen Style) / Ba Ji Quan teacher, Master Adam Hsu and started practicing with him ​for several years in Taipei (Taiwan). Between 2000 and 2005 I had the opportunity to work for some projects as a Martial Arts Choreograph for Movie & Television. But the movie industry in Europe is still not big in the Action Movie business … so it was not worth to spend too much time on it, even it was fun. In 2003 I met in Taiwan my Hung Kuen teacher, Shaw Brothers Movie Star Chi Kuan-Chun. He gave me the chance to learn from him more about Hung Style in Kung Fu. ​Later in 2005 I began to study Chinese Lion Dance form Hong Kong Action Director/Movie Actor/Producer Lau Kar-Yung. His uncle ​was the famous Hong Kong Movie Director/Actor/Kung Fu Master Lau Kar-Leung. ​I invited him several times to Germany for Lion Dance and Lau Family Monkey Style Workshops. ​Since 2005 I followed Grandmaster Wong Doc-Fai (San Francisco) to ​expand my knowledge in Choy Li Fut Kung Fu and Yang Style Tai Chi Chuan. He is one of the leading Choy Li Fut Grandmaster around the world and he had broaden much my knowledge about Choy Li Fut Kung Fu. ​​In 2009 I began my studies in the Fitness Industry for Trainer in Fitness, Health and Nutrition Management at BSA Academy. Later further intensive studies for Master Personal Trainer / Health Coach under the leading Trainer/Lecturer Dr. Axel Gottlob (Biomechanist, Sport Scientist, University Lecturer). Fascia Fitness by Dr. Robert Schleip. As well as further studies (Qualifications) about Myofascial Release (Fascia Manipulation) at the Deutsche Gesellschaft für Myofascial Release​. ​​Sheng Zhen Qigong I was practicing directly under Li Jing, daughter of Master Li Jun-Feng. ​June 2012 I got my Level I Instructor under Martin Rooney (U.S.A.), Founder of “Training For Warriors”. In July 2012 I opened the first official affiliate for “Training For Warriors” in Germany. 2016 I ​started my training under famous MMA Coach Erik Paulson in CSW (Combat Submission Wrestling / STX Kickboxing / MMA / Brazilian Jiu-Jitsu) and opened an CSW affiliate school ​in Munich, Germany. Beside ​Fongs Academy I ​was working as a Privat Coach, combining my long term experience for over 30 years in the Martial Arts with the Fitness Industry, helping my clients to build up their body with weight- and matabolic training, correct nutrition, combining western and chinese body/mind techniques, teaching them the secrets to keep young and strong for old age. Now, since ​January 2019, I stopped taching to begin my ​retreat for the next couple ​years ​of Learning.